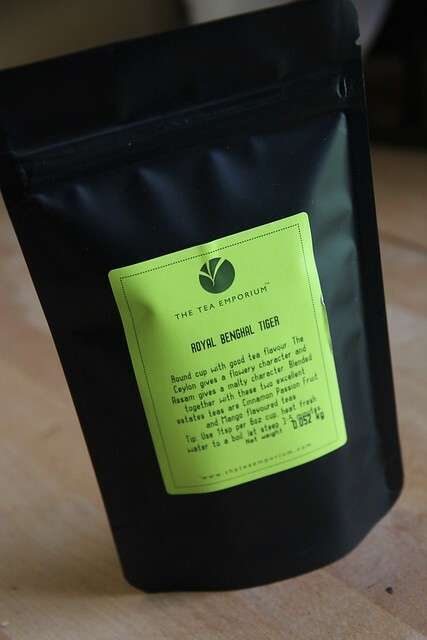 The third tea from Tea Emporium that I was intrigued enough to order was Royal Benghal Tiger. 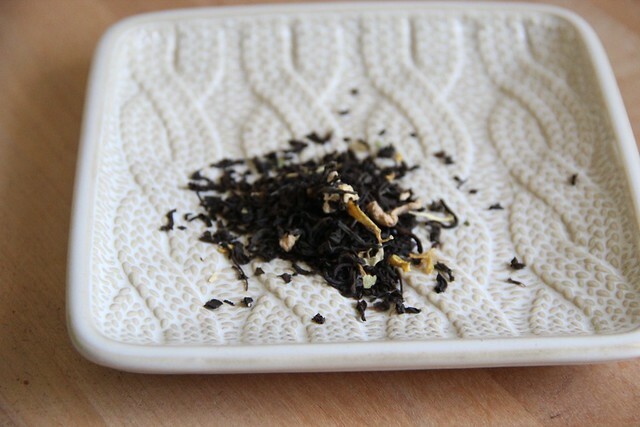 From the website this is a blend of Ceylon and Assam teas with mango, cinnamon and passionfruit. It is available in a variety of sizes: 50g for $5.25, 100g for $$10.50 and 250g for $23.63. When I first opened the package I got a whiff of cinnamon and something tropical. These aromas only intensified as I brewed the tea. The tea itself was a good strong brew, and the cinnamon, mango and passionfruit just added an extra bit of sweetness and spice. I really liked this one quite a bit.